Capture your images or video as they happen without missing a moment. Offering blazing fast performance, Komputerbay Class 10 memory cards are fully compatible with the latest SD 3.0 specifications, which call for a minimum sustained write speed of 10 MB per second. This is a significant performance upgrade over earlier SDHC standards, and is fast enough to record high-definition 1920 x 1080 resolution video. 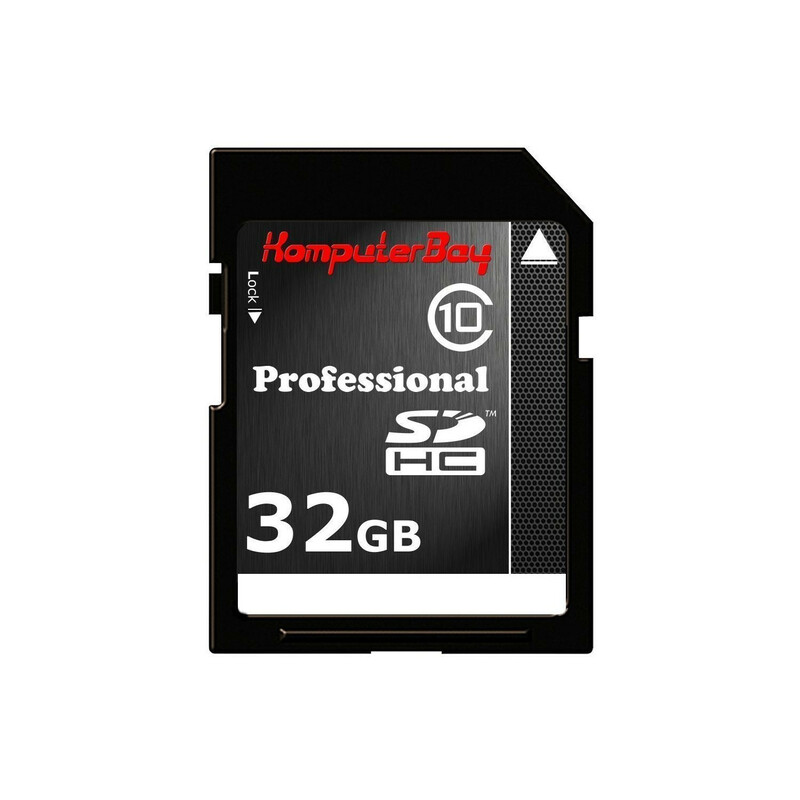 As a result, Komputerbay SDHC cards easily keep up with the most demanding photography and video equipment, making them ideal for both new digital SLR users and seasoned professionals. Each card is built to keep your data safe, with a write protection switch that prevents users from accidentally overwriting important files. They are designed to allow you to easily upload, download, store and capture images, music, and data in your digital camera, audio player, PDA, or other handheld devices. These non-volatile, durable cards are designed to perform over a wide temperature range while being extremely shock resistant.